Catherine Jensen-Hole is Visiting Assistant Professor in the African-American Music and Jazz Studies Program at UMass Amherst. Catherine directs the DOWNBEAT award-winning Vocal Jazz Ensemble and teaches undergraduate instrumental arranging and composition, vocal jazz techniques, and the vocal jazz studio. Jensen-Hole has performed as vocal jazz artist in Australia, Great Britain, Indonesia and the U.S. including performances at the Perth Concert Hall, the International Festival of Perth, Australia, and the National Theatre, London, England. She has received two awards for her performance from DOWNBEAT magazine and was a member of the award winning UNT Jazz Singers for eight years. A nationally published composer and arranger, her compositions and arrangements have been performed and recorded by university and college ensembles across America. A sought-after clinician and adjudicator in vocal jazz, she has conducted All-State Choirs including the 2001 MENC All Northwest Jazz Choir and has been a faculty member at the North Texas Summer Vocal Jazz Workshop. Presently she co-teaches at the Jazz in July Summer Workshop (UMass Amherst) with Sheila Jordan, working with singers from the USA, Canada, Europe and Asia. Jensen-Hole is also a regular performer in the IAJE Music Educator Vocal Jazz Group that performs new vocal jazz music at the yearly conference. Her own UNC Jazz Press arrangements and compositions are regularly featured at these sessions. In earlier years, Jensen-Hole worked as a freelance studio singer for Western Australian based advertising companies and received awards at the West Coast Rock Awards for most outstanding W.A. recording by a Western Australian artist. 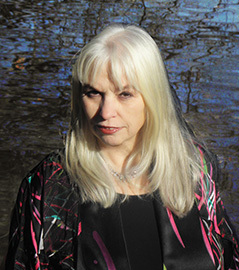 A resident of the USA, and citizen of Australia and the United Kingdom, Jensen-Hole received her Bachelor of Music in Jazz Studies from the Western Australian Conservatorium of Music (WAPPA), and both her Master of Music in Jazz Composition and Arranging, and Doctor of Philosophy in Music Education specializing in Jazz Studies, from the University of North Texas. Jensen-Hole was previously Interim Director of Vocal Jazz at Central Washington University.